They were also one of the first to start reaching new customers through paid advertising on OuterBanks.org. Now their campaign has the third most clicks of any Destination Travel Network advertiser, a network of publisher websites containing more than 1,600 advertisers. Due to this stunning performance, we reached out to Carolina Designs Realty’s brother and sister marketing duo Ryan and Michele Thibodeau to learn how they leverage OuterBanks.org and other services offered by Outer Banks Visitors Bureau to rent their vacation properties and get more business. Carolina Designs Realty opened in 1988 by their parents to represent quality Outer Banks vacation rentals located in the towns of Corolla, Duck, Southern Shores, Kitty Hawk, Kill Devil Hills, and Nags Head. 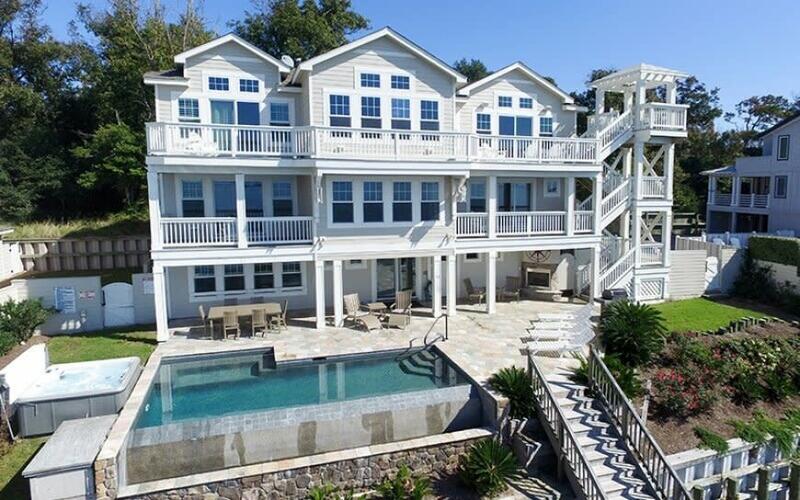 The family owned and operated business fills a niche for high-end, beachfront vacation homes. For over 30 years, they have established a solid reputation with visitors and homeowners alike. When it comes to advertising and marketing their vacation rentals, partnering with the Outer Banks Visitors Bureau was a natural fit. Their quick action landed Carolina Designs Realty digital advertisements that continue to give them a return on their investment. In a recent Destination Travel Network Top 100 Advertiser by Clicks* poll, they earned the 3rd spot with more than 1.8 million impressions and 21,425 clicks for an average of 1.16% CTR over a 13 month period. Considering the DTN Ad Network services more than 1,600 advertisers, this performance is extraordinary. Ryan attributes the success of their campaign to the targeted audience of OuterBanks.org. OuterBanks.org is visited by the very people they are looking to attract: vacationers searching for high-end vacation homes offering premier amenities, prime locations, and easy access to the beach. Carolina Designs Realty doesn’t rely solely on OuterBanks.org and diversifies their reach through other websites and advertising options. They track results to make the best campaign decisions. “We use Google Analytics to track our campaigns. The OuterBanks.org is consistently one of our top 10 traffic sources to our website,” said Ryan. The Outer Banks is a popular vacation destination. As such, they both agree that OuterBanks.org provides perfect exposure for local tourism-related businesses in the Outer Banks. Ryan knows the visitors bureau researched companies before choosing a digital advertising partner and he’s confident with their decision to use Destination Travel Network. 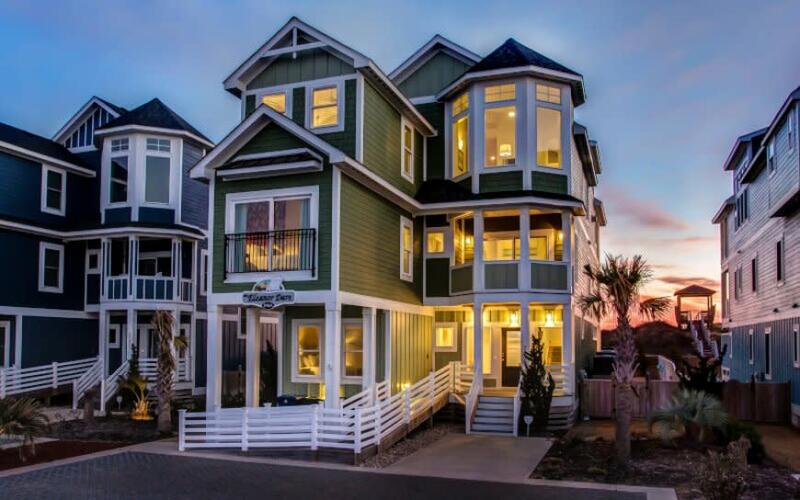 You can learn more about the vacation rentals offered through Carolina Designs Realty online. Be sure to Like Carolina Designs Realty on Facebook and follow them on YouTube.com.